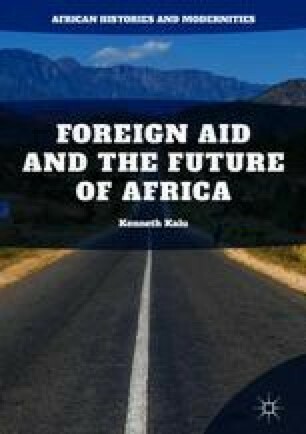 Drawing from the literature on aid effectiveness and using case studies of donor-funded public health programs in Nigeria, this chapter notes that foreign aid can indeed weaken national institutions and compound the problem of poverty and bad governance. This does not mean that aid has no positive impact on society. In many cases, donor interventions in social services, especially in the public health arena, have been hugely beneficial to the receiving communities. Foreign aid that is effectively delivered can ameliorate some of the harsh effects of poverty. However, through various mechanisms, donor projects can also produce negative externalities on national institutions. For examples, donor projects have often pulled competent staff away from government departments, thereby worsening capacity challenges within the government bureaucracy. In addition, huge external interventions in the public health sector of some African countries have led to distortions and confusions within the national system.